Since 1944, the VA loan program has helped over 20 million veterans and current military servicemembers buy homes. In most cases, individuals who are eligible for a VA loan will find that these loans are easier to qualify for and have significant perks that make them more advantageous than conventional mortgages. But before you go to a lender and apply for a VA home loan, take a few minutes to understand some of the basic facts about VA loans and how they work. 1. Eligibility for VA loans depends on length and type of service. You must serve in the military for a certain amount of time before you are eligible to get a VA loan, but the amount of time required depends on the type of service. During wartime, you need only serve for 90 days in active duty before you are eligible to get a VA loan. In peacetime, this is lengthened to 181 days of service. If you're in the National Guard or Reserves, you must either have completed six years of service or have met the minimum active duty requirement described above. Eligibility also extends to the spouse of a veteran who died in the line of duty. 2. VA loans have lower upfront costs than conventional mortgages. One of the main factors that delays people when buying a home is the down payment. Most lenders require a down payment of at least 5% of the purchase price, and FHA loans require a 3.5% down payment. With a VA loan, though, you do not need a down payment at all. That 0% down payment makes it possible to buy a home with absolutely no money saved. In addition, VA loans do not charge mortgage insurance, as most other lenders would for loans with down payments of less than 20 percent. These two factors add up to significantly lower upfront costs, at the time of purchase and over the next few years. 3. You can get a VA loan more than once. The VA loan program is not set up for one-time use. If you used the program in the past, you are likely still eligible to use it again if you want to refinance your home or sell your home and move to another. You can even get a new VA loan while you are still making payments on an old one, although you do need to use a home you are purchasing as your primary residence, not a vacation home or a rental property. 4. Credit requirements for VA loans are more lenient than conventional mortgages. The United States government provides a partial financial guarantee to the lenders who issue VA mortgages, which means that the lenders loosen their credit requirements on VA loans. In general, you will only need a credit score of 620 to qualify for a VA loan, which is about 100 points lower than the credit score requirement for typical mortgages. In addition, you can often qualify for a VA loan just one or two years after a foreclosure or bankruptcy, and you might be able to qualify to buy a new home during or immediately following a short sale. 5. VA loans include ongoing assistance to help veterans stay in their homes. The Department of Veterans Affairs continues to support borrowers who use VA loans through the duration of their repayment. Trained staff help negotiate with the lender if a borrower is struggling to make payments on the loan. 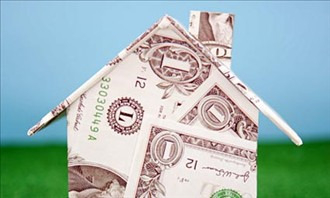 They can often help secure a new payment plan or loan modification to help VA loan borrowers avoid foreclosure. Because of this, VA loans have lower foreclosure rates than any other major type of home loan. Author Bio: Mike Dulla is the president and founder of United Home Loans, which was founded in 2002. United Home Loans has closed in excess of 10,000 loans with over $2.5 billion in total closed loan volume.